A 2017 article by Money.com reported only 10 percent of homeowners successfully sold their homes without the help of an agent. The other 90 percent chose to work closely with real estate professionals who were familiar with their local markets. In lake real estate, working with agents who live, work and play in their local markets is key to a successful real estate venture. These veteran experts are intimately familiar with the many nuances of their lakes — such as which parts are most active or best for fishing, and what the off season looks like — but more important, how to best gauge current market conditions. So, what should you look for when it’s time to hire a listing agent for your lake home? We can help with that. It’s important to learn the distinction between the roles of listing agents and selling agents, because though they sound like the same thing, they are quite different. A listing agent works on the homeowners’ side of the real estate transaction and works in the best interest of the seller. These agents list properties on their MLSs (multiple listing services), which make them visible to other real estate agents who have clients looking for similar homes. Additionally, these MLSs feed a host of real estate websites, like LakeHomes.com, Realtor.com and Zillow, providing national exposure to their listings. Listing agents also help the sellers price the home, assist in contract negotiations and serve as trusted advisers on various other real estate-related minutiae. A selling agent works with prospective home buyers. Most often referred to as buyer’s agents, selling agents are responsible for representing the buyer in the transaction. Perhaps one of the most important things to take into consideration when hiring a listing agent is how familiar he or she is with your market. In fact, in 2017, 80 percent of sellers named local market knowledge as one of the top deciding factors when choosing an agent to work with. In specialized markets, like lake real estate, local market knowledge can be invaluable. For example, pricing your lake home is typically one of the biggest questions you and your listing agent will face because traditional estimated value programs often incorrectly evaluate these properties. Tools like the Zillow Zestimate use public records such as property tax records, and user-submitted data to approximate the value of a home. Public records don’t always properly reflect the actual size and configuration of certain homes, and because much of a lake home’s value is determined by factors like proximity to the shoreline, lake views and nearest access points, public and user information can only give homeowners a rough estimate. At Lake Homes Realty, lake home listing agents utilize resources like our Lake Market Report — which features real estate data from more than 100 MLSs across 16 states — to analyze market trends, compare prices, and determine how your local market fits into the state-wide market. Armed with this wealth of information, lake-focused agents are best equipped to price your home objectively and appropriately for your market’s climate. You can’t sell a secret, and if your listing agent hasn’t laid out a strategic marketing plan for your property, you might considered finding someone else to work with. Many lake home buyers come from out of state, which means your listing agent must go beyond putting your home on the local MLS in order to reach these prospects. One of these best ways to do this is to target marketing efforts via search engines and social media campaigns. Lake Homes Realty agents tailor listing promotional efforts using Google Analytics web-traffic data to determine which areas are most frequently shopping your market. 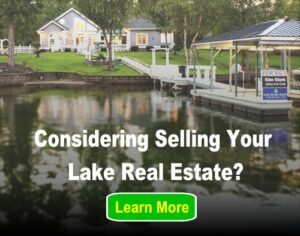 This powerful tool not only shows sellers how visible their listing will be on a national level, but also shows the age demographic most interested in homes on their lake, gender and how frequently users are shopping on LakeHomes.com. From this information, listing agents can determine who sees their listing advertisements by specifying it only be shown to males, ages 54 to 65 within 25 miles of Nashville who are interested in fishing, boating and real estate. 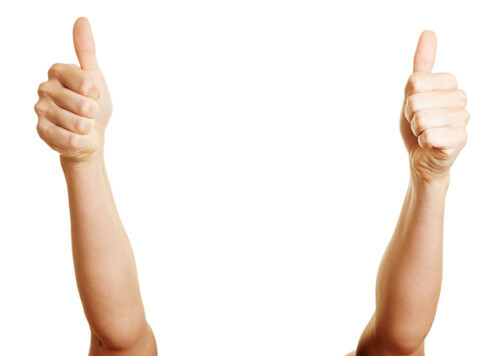 How trustworthy and responsive a listing agent is are the two most important qualities sellers look for when hiring. A strong sales history, positive online and peer reviews, certifications and performance awards are all key indicators of these. Red flags that may signal a less-than-effective listing agent include the agent encouraging the highest possible initial listing price, an unusually low commission split and unfamiliarity with your specific type of property. Also, the best listing agents are full-time real estate professionals. This enables them to be more easily accessible to answer any questions sellers may have, provide advice on offers and to provide peace of mind that sellers have made the right choice in choosing to work with them. Additionally, a good listing agent will respond to every client, every time, to make sure his or her client’s transactions go as simply, effortlessly and conveniently as possible.